So four songs ago we featured Serj Tankian’s “Figure it Out” – two very different songs with the same title. It’s funny but it was hard to say which song I preferred too, they’re both great in incredibly different ways. 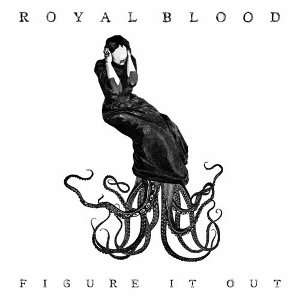 This has definitely been my favourite Royal Blood song thus far. For a while I didn’t understand what the hype was about this band; everyone went crazy over them and it took me a while to “get” what it was that apparently made them special. And believe it or not this was probably the third or fourth song by them I had heard, despite it now being their most famous song and has been in quite a few adverts and soundtracks now as well. What attracted me to the song was the end of the song, the track generally didn’t excite me much on the first few listens but as soon as that outro riff hits and those drums connect towards the end, it’s just musical bliss – so much in fact that I actually think the outro ends too soon! Not long after I just really fell in love with this song, it’s an excellent track. If you missed #32 go here.